More than a million people have signed a petition in protest at the President’s clampdown on immigration. The British government has refused to cancel Donald Trump's proposed state visit to the U.K. despite over one million people signing a petition calling for the move this weekend. A source told BBC News that a rejection would be a "populist gesture," adding that scrapping the plans now would "undo everything." The Downing Street source went on to say: "America is a huge important ally. We have to think long term." The petition, started by Leeds-based solicitor Graham Guest, was created in the wake of Trump's executive order banning immigrants from seven Muslim-majority countries from entering the U.S. Only 100,000 signatures on a petition are needed for MPs to consider debating an issue. 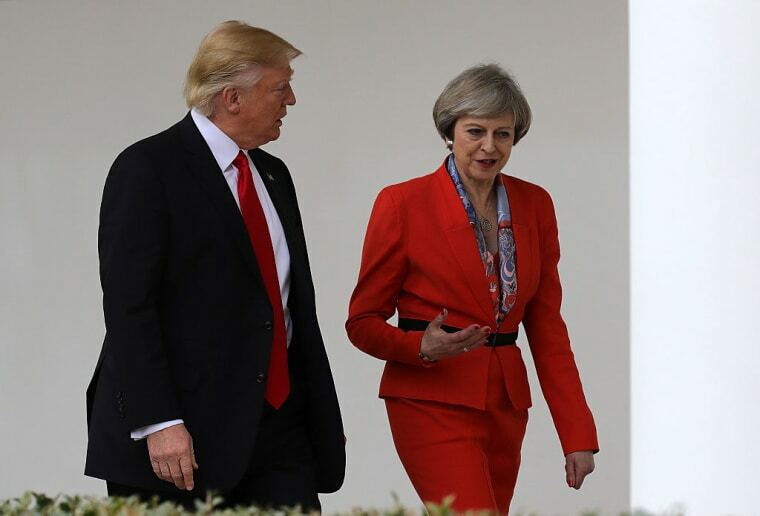 Trump's proposed visit was announced last week during Theresa May's trip to the U.S. There is no date for the visit but it is expected to take place later this year.